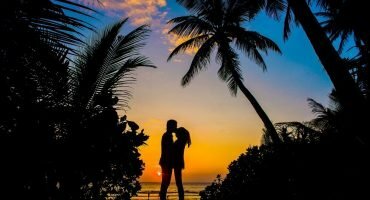 Are you planning your honeymoon trip within India? What else could be the best place other than God’s Own Country to start your second innings. Kerala has many untouched destinations to explore with your life partner and get to know each other better. Kerala offers divers destinations which will offer you a memorable honeymoon holiday trip. Kerala is honeymooners paradise when compare other destinations within India. Srees Tours is committed to give you all the details about which destination is the best, which package is the best and all other information which is definitely required for honeymoon couples before they choose a destination. Srees Tours offers various Kerala honeymoon packages for couple that would take you to the beaches, houseboats, wildlife sanctuaries and hill stations, all at one go. Avoid visiting from March to June as due to summer, waterfalls would be unavailable. You would be made available houseboats and tree houses to stay and cherish the moments of your honeymoon period. Trekking and Safari are included as well. Kerala Honeymoon tour packages for couple offered by SreesTours are economical and made keeping in mind the interests of Indian couples. Srees Tours takes every care to make your honeymoon stress free and enjoyable. Various packages like Kerala backwater package and include visit to Munnar, Kumarakom Backwaters, Alleppey Houseboats, Thekkady Wildlife Sanctuary, Koavalam Beach, Waynadu Hills, Marari Beach, Athirapally Waterfalls, Vagamon Hills and Bekal Beach. 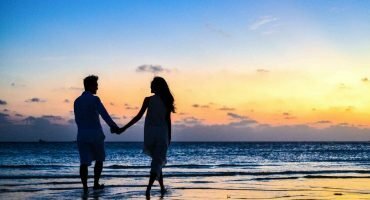 If we talk about what is Kerala offering for honeymooners, first we need to look at what is not available in Kerala or what is the advantage of Kerala for Honeymooners. This is the only destination where multiple experiences are available. Just for example, if you choose Manali, Shimla or Kashmir, you will get only cold hill stations. If you choose Goa, then only beaches. Comparing to other destinations, Kerala offers multiple experience like Munnar (hill station), Thekkedy (semi hill station and wild life also), Backwater houseboat and Beaches. Therefore, Kerala is the only place where you can have multiple experience. Room Prices with Quality. You can compare Kerala with any other state, the room prices are cheaper than other states. 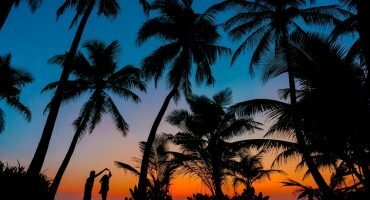 Which are the Best Honeymoon Destinations in Kerala? Before finalizing a package, we need to understand which are the best destinations suitable for Honeymooners. As mentioned above, though Kerala offers multiple experience, which are the best destinations Honeymooners will choose? Kerala offers Hill Stations, Backwaters and Beaches. Combination of all these destinations will surely give a romantic and memorable honeymoon trip in your life time. Munnar – Undoubtedly Munnar stands No 1 compare to all other destinations in Kerala. Munnar offers best climate, greenery as most of Munnar is tea plantations and forest and best honeymoon cottages on affordable price available compare to all other destinations. Vagamon – Vagamon offers best climate and greenery, which stands No 2 compare to all other destinations in Kerala. Thekkedy (Periyar) – Though Periyar is a semi hill station, this is also called Periyar National Park. It offers cool climate and forest, during summer the temperature will go up to 30cs. Therefore it stands No 3 compare to all other destinations in Kerala. Wayanad – Wayanad is at North Kerala and cannot connect with Munnar, Thekkedy and Aleppey. It’s a semi hill station with cool climate and greenery. The temperature will go upto 30c during summer time. Kerala is famous for its criss cross canals, rivers and backwaters in Kerala. Below is the best and top 3 backwater destinations in Kerala. Aleppey Houseboat – Staying in a houseboat is a life time experience either for honeymooners of family with children. For honeymooners, this is not avoidable therefore stands at No 4. Kumarakom – Believe it or not, Kumarakom is one of the best destination for Honeymooners as it’s a calm and quite place. You can spent more time with your better half than any other destination as in all other destinations, there are many activities included. This is the best location for those coming just to relax without any activity. Quilon – is located little far off from Aleppey and it’s near to Trivandrum. This is also one of the calm and quiet places in Kerala, where, honeymooners will enjoy. Beaches are always honeymooner’s paradise. Kerala is basically a coastal state and has many famous beaches which gives honeymooners memorable and enjoyable trip of their life time. We have rated below beaches not based on too much of people visiting but considered quality beach with less crowd so that the honeymoon couple should not be disturbed. Poovar Beach – Poovar beach is located 42kms away from Trivandrum Airport and 26kms from Kovalam beach. Main advantage of this beach is that no local people or fisherman are visiting this beach frequently. Marari Beach – Marari beach is located very close to Aleppey backwaters. It’s a fishermen village and very limited guest visit this beach. The beach is not idle for swimming due to under currents. Verkala – Verkala beach is located between Aleppey and Trivandrum and this is one of the best beach where you can swim easily. This is more crowded with foreigners than Poovar and Marari beach. Kovalam Beach – One of the famous beaches in Kerala. Lots of eateries, swimming and beach activities are available here. Always crowded with people, you may not find a place where you can sit for some time. Cherai Beach – Cherai beach is located near to Kochi airport is a good fisherman beach. There are many resorts on the beach itself available. There are no much beach side restaurants available as well as facilities also limited. The beach is idle for swimming. We have given about destinations you can visit during your honeymoon trip. Now how should you plan this? Most of the people blindly booking a 7 days tour from Kochi to Kovalam beach not knowing where to stay two nights and how to cut short the duration of road travel. First and most important thing about road travel in Kerala that the average speed of a small car is just maximum 50kms or less. 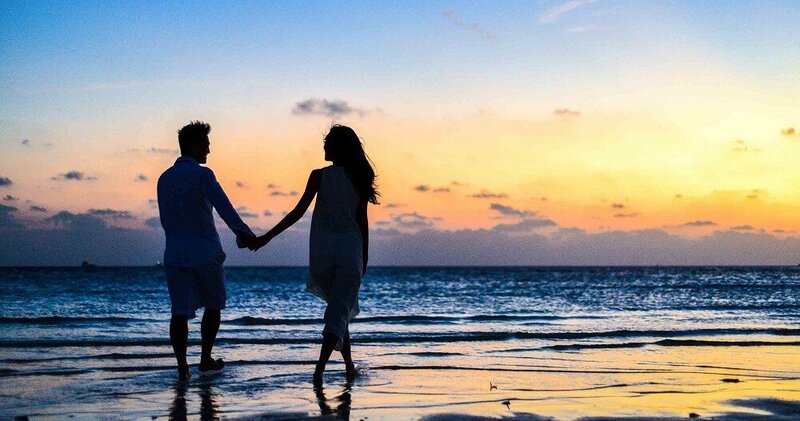 Therefore, connecting all destinations with limited days of tour is not a good honeymoon tour. We always recommend having a good and relaxed honeymoon tour than pack and unpacking every day, visiting all the bridges and trees finally at the end of the trip, you may find that you had no time or very less time together with your better half. By the time you realize this, you might have boarded your return flight. 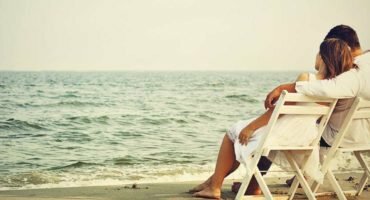 Therefore plan a honeymoon in such way that you get maximum enjoyment and pleasure and a memorable honeymoon tour of Kerala in the life time. Please look at below important points before selecting the destinations. If you are planning a short duration of 6 days it is advisable to skip Verkala, Kovalam and Poovar beach as its too far off. If you still want to cover Kovalam or Poovar beach, try to book your return flight from Trivandrum. Kochi airport is 6-7hrs drive from your last destination. Try to stay minimum two nights in each location. If you want to have a relaxed honeymoon and want to visit all good destinations of Kerala, you need to plan a trip for minimum 8 days. 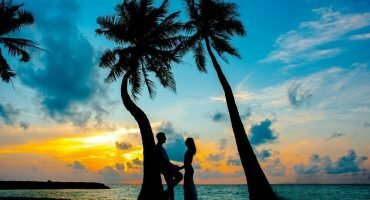 Which is the Best Honeymoon Tour Package in Kerala? Srees Tours, pioneers in designing and executing Kerala Honeymoon packages have given all valuable information to you. Now its time plan the trip with best destinations in Kerala. To find out best honeymoon package in Kerala, we need to understand how many days a guest can spare for their honeymoon. Based on the number of days in hand, honeymooners can choose either of the below packages. Weekend honeymoon package is for those couple who does not have much time to spare. Since weekend honeymoon package is planned for 2 night and 3 days, just one or two destinations can be covered in this package. Below are the top 4 weekend honeymoon packages in Kerala. Kumarakom and Aleppey Houseboat Honeymoon Package. Kumarakom and Cherai Beach Honeymoon Package. Those who have little more days to spent for their honeymoon in Kerala, 3 nights and 4 days package is idle which can cover two destinations. Below are the best two packages of 3 nights and 4 days. 3 Nights and 4 Days Munnar and Houseboat Honeymoon Package. 3 Nights and 4 Days Kumarakom and Cherai Beach Honeymoon Package. Seven days package can cover minimum three to four famous destinations in Kerala. Below are the best two 7 days Kerala honeymoon holiday packages from Srees Tours. 6 Night 7 Days – Munnar – Kumarakom – Houseboat – Kovalam. 6 Night 7 Days – Munnar – Thekkedy – Houseboat – Cherai Beach. Whether you are on a low budget or high budget, choose a room that has great views. For example, some of the Munnar resorts offer great view rooms. Just inform your tour agent that you need best view rooms. We have already published an article about – Where To Stay In Munnar. Please read – Best 4 Star Resorts in Munnar (Kerala) – Does Your 4 Star Resort is Really 4 Star? Know How! Do Not Spend too much for a room with private pool villa in hill stations until unless it offer you hot water pool. Even if you are in a low budget, there are many resorts offer independent cottage with cheaper price. DO NOT BOOK a sharing Houseboat in Aleppey or Kumarakom. This will surely spoil your honeymoon. Try to include a FREE CANDLE LIGHT DINNER in hotels if you are booking the room with B/F and Dinner. Connecting destinations in Kerala makes minimum 3 or 4hrs road travel. Therefore, try to stay minimum two nights in each destinations so that you can spent more time with your better half rather than you pack and unpack every day. Kerala offers different category rooms like, independent cottage, room with bath tub or Jacuzzi, private pool villa and Tree House. Try to include these combinations while choosing rooms which gives you some romantic and unforgettable time with your better half. If you are booking through a travel agent, make sure the agency is accredited with Kerala Tourism. An accredited agent is more responsible than an agency does not have a registration. This was a complete walk through for beginners planning their honeymoon in Kerala. Now you first need to jot down the number of days you have available and what all places are you interested to visit as per priority. After that, any time you can get in touch with us by calling us, e-mailing us or filling up the inquiry form and we will be happy to assist you further.